Billion Dollar Graphics: Who needs permission? It's on the Internet. It has to be free. Who needs permission? It's on the Internet. It has to be free. Rear Admiral Grace Hopper, known for developing the first compiler for a computer programming language as well as having an extraordinary wit, said, "It's easier to ask forgiveness than it is to get permission." What she meant was to take your ideas and run with them. Don't wait for someone to give you permission to do what you know is right or create the next great innovation. Unfortunately, many people apply Hopper's quote out of context. I've read discussions lately on several forums about downloading images from the Internet to use on company websites and in proposals, presentations and other marketing materials. Some believe these images are part of the public domain once they are uploaded to the Internet. And this belief can lead to costly consequences. Recently, a fellow writer downloaded a photo from another website and used it on her blog, which has less than a thousand views a month. A few weeks later she received a cease and desist order from a lawyer representing the photographer who owned the rights to the photo. Immediately, she removed the photo from her blog and apologized, pleading ignorance because she didn't understand copyright laws regarding images found on the Internet. However, her apology was not enough, and the photographer sued her for copyright infringement. She was found guilty and had to pay several thousand dollars to the photographer—in this case, asking and paying for permission would've been much cheaper and easier. Although I feel sorry for my associate, I do understand the photographer's point. He had spent a lot of time and money perfecting his craft and creating this photograph. His living is made off of the sale of his photographs. Every image used without his permission is a loss to his business. Imagine how the writer would feel if her stories were being distributed for free on blogs and websites, especially without attribution. Public Domain —Works in the public domain are those whose intellectual property rights have expired, been forfeited, or are inapplicable. Examples include the works of Shakespeare and Beethoven, most of the early silent films, the formulae of Newtonian physics, and the patents on powered flight. The term is not normally applied to situations when the creator of a work retains residual rights, in which case use of the work is referred to as "under license" or with permission. In informal usage, the public domain consists of works that are publicly available; while according to the formal definition it consists of works that are unavailable for private ownership or are available for public use. As rights are country-based and vary, a work may be subject to rights in one country and not in another. Some rights depend on registrations with a country-by-country basis, and the absence of registration in a particular country, if required, implies public domain status in that country. Fair Use —Fair use is a limitation and exception to the exclusive right granted by copyright law to the author of a creative work. In United States copyright law, fair use is a doctrine that permits limited use of copyrighted material without acquiring permission from the rights holders. Examples of fair use include commentary, criticism, news reporting, research, teaching, library archiving and scholarship. It provides for the legal, unlicensed citation or incorporation of copyrighted material in another author's work under a four-factor balancing test. Fair use mostly applies to the citation of written works, so I would recommend contacting the owner of the image and asking permission before thinking that fair use would apply to your instance and find out how attribution should be made. 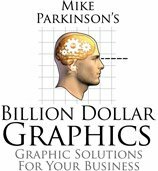 In my book, Do-It-Yourself Billion Dollar Graphics, I included several images by other designers and received permission to include them in my book. I even asked Google for permission to use a screen shot of their interface as a sample of good design. Attorney David L. Amkraut wrote an article, The 7 Deadly Myths of Internet Copyright, which provides an essential overview of copyright law. I highly recommend reading his article and sharing it with others to educate yourself on the law before either you or your company use any Internet images. Next week, I'll blog about where to find free images and "royalty-free" images.